Up to now komuna//warszawa has been telling about history and how people faced up to it in the past (Walter Gropius, Calel Perechodnik, Richard Buckminster Fuller, Baader-Meinhof). We could comment on actions and choices, knowing the context and the final consequences of our protagonists’ negligence or strife. Now we place ourselves in a position of an extraordinary observer. We’re telling the story of a real person – or rather we’re telling the future story of a real, living person. It’s exciting – before our eyes the drama of the errors and triumphs of Sławomir Sierakowski (in our opinion one of the most important figures of Polish politics now and an even more important one in future) will unfold – k//w will weave the possible scenarios of his life and real life will verify the accuracy of our imaginations. We allow ourselves coarse jokes and a cynic’s good advices – but all that in good faith, with sympathy and in all trust in the left of the future. k//w plots tensions, faultiness and key points of Sierakowski’s personal and public life and his impact on social energies, subterranean oscillations of the history of the state and the world at a tipping point. And there is one more reason for this tale – the tale itself – as a need to listen, watch, see, participate. Sławomir Sierakowski (b. 1979) – Polish intellectual, literature and theatre critic, publisher, occasionally dramatist. Founder and editor of the magazine “Krytyka Polityczna” and publishing house Wydawnictwo Krytyki Politycznej. He is the president of the Stanisław Brzozowski Association. He and „Krytyka Polityczna” serve as a focal point for a broad range of people: undergraduate and PhD students, journalists, critics, artists and social activists. 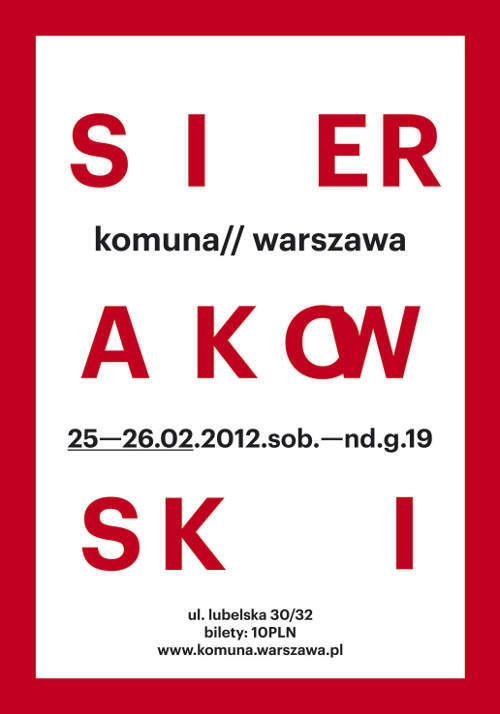 „Sierakowski” at komuna//warszawa. By Łukasz Drewniak in Przekroj weekly. 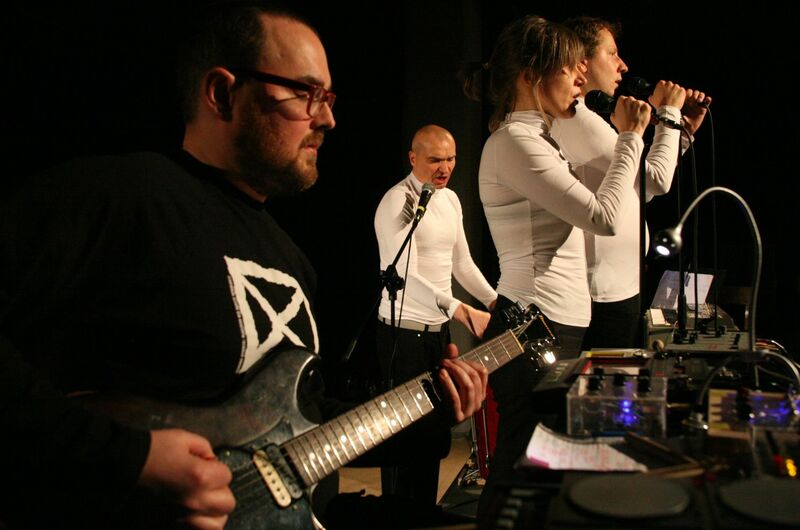 As soon as the news spread that Grzegorz Laszuk and his colleagues at komuna//warszawa are working on a performance under the title “Sierakowski”, the right-wing media shook with rage. What – so young and already a theatre performance about him? Glorifying the editor of “Krytyka Polityczna”? (…) If they’d seen even one work of komuna//warszawa, they would sit quiet instead of courting ridicule for it was immediately obvious there was no way this would be an apotheosis of “Krytyka Polityczna”. Because komuna always thinks against the grain, doesn’t go in for herding behaviour. komuna//warszawa, formerly Komuna Otwock, has since the mid-1990s functioned as an excuse for our unwillingness to get politically involved. Its members were the token anarchists and activists. It was enough to know that they were being active, struggling, working organically, and we could get away with our decadence. Because the Komuna would work and think through all difficult matters for us. 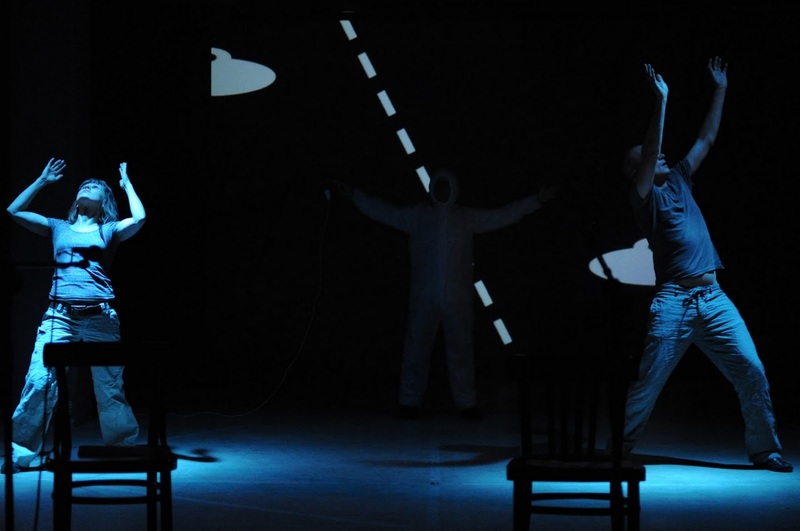 Its first performances, “Untitled” and “The First God Must Be Killed” explored the sense of all ideologies and generational choices. The following productions tested the awareness and place of an individual in the face of the absurdity of history („Perechodnik/ Bauman”), talked about the illusions of terrorism („The Future of the World”), questioned the right of philosophers to improve and explain the world („Mill/Maslow”, „The Books”). The communards were always more than merely a theatre and a group of friends – they tried to change reality, they educated the society, they participated in the life of local communities. (…) But for their twentieth anniversary they wrote a manifesto, in which they stated that artistic work has no (or negligible) influence on social life, that instead of stating ideas they prefer to tell stories. Such as the story of the editor of “Krytyka Polityczna”. “Sierakowski”, komuna//warszawa’s latest work, is a performance that launches a debate about the attitude of the New Left’s leaders, its methods of activity, its choice of presenting ideology in art. 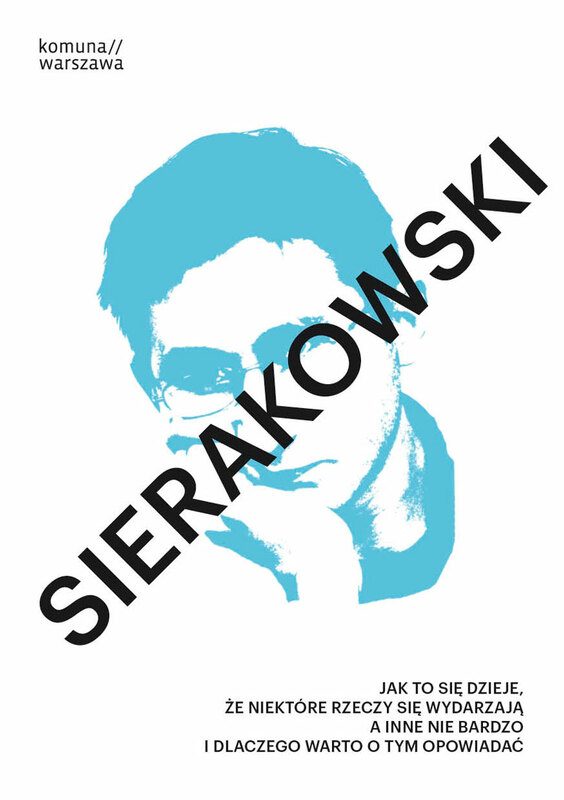 „Sierakowski” (…) is an imaginary reconstruction, its genre is biographical futurology. 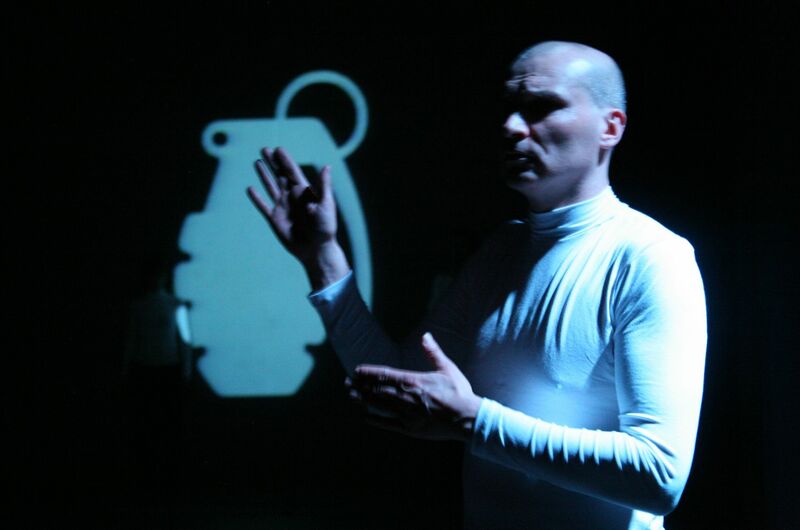 The rhythm of the performance is set by the dates from a chronicle of the Polish national history, in which Sławomir Sierakowski will have an assured place. Scene one – the year is 2017, Sierakowski has quit politics and become Buddhist. The actors dress up as Mickey Mouse clones and join in a chorus of squeaks, thanking the protagonist for always leaving them cheese that has gone off, just so. Scene two – year 2019, a Martian invasion. 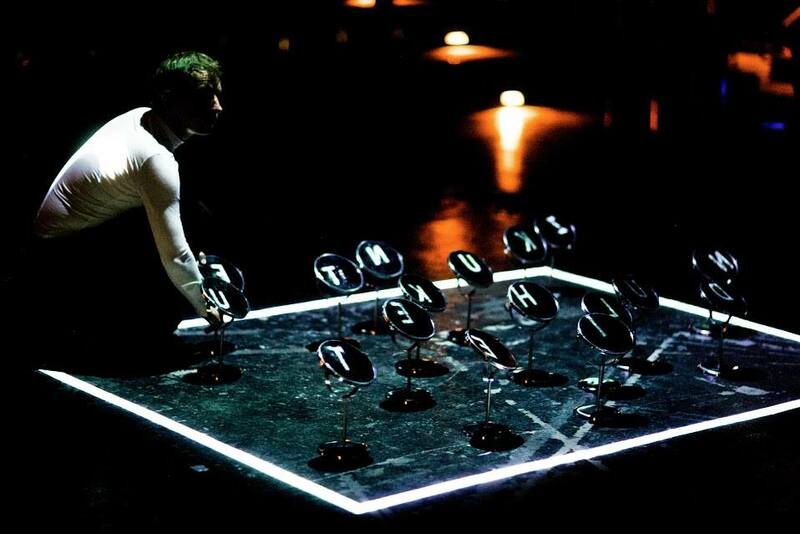 One of the actors, dressed in white is lit up with colourful diodes, Grzegorz Laszuk shouts into the microphone: “Sierakowski, back out, you’re surrounded”. The futurist Sierakowski replies: “We have no more ammunition, we’re holding the fort, to the last drop of blood…” In the third scene a daughter of Sierakowski has been born, the happy father takes a paternity leave and changes nappies, analyzing baby ca-ca with the help of Žižek, Lacan and Agamben. The fourth, branching off of the future, shows him in 2022 as the prime minister of a coalition government, reaching agreement with his political partners – the far right and the far Islamic left – on the legal limit on the height of minarets in Poland. Jokes, mockery and low attacks (for the komuna’s performance is an anarchist-formalist farce) are merely to prepare the audience for serious challenges to Sierakowski and the entire “Krytyka Polityczna” formation. The komuna//warszawa’s performance is not nice to watch. For aside from the absurdity and the polemic, there is also a somewhat ambiguous side in it. In the end the editor of “Krytyka Polityczna” is ridiculed. How can that formation respond, if it sees itself as a future think tank or an improved, more ideological version of “Gazeta Wyborcza”, not a regular movement or a political party? They won’t make an counter-performance. They can write a few manifestos and articles, but the firepower of the theatre will always be greater. Or maybe they will think that Laszuk is motivated by simple jealousy of their effectiveness, their ability to attract the young, their thinking of Polish affairs in a global context. 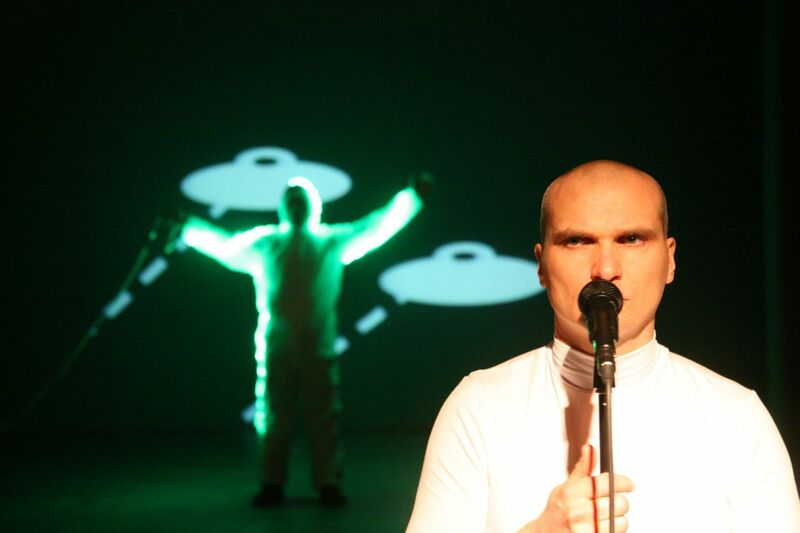 After all, Grzegorz Laszuk has spent the last decade basing each komuna’s performance on the recognition “why there will be no revolution” – and now a generation is here that not only does believe in the revolution but its revolutionary fire is fuelled by the global economic conditions. (…) Certainly, however, they should take one suggestion of the komuna to heart: the call for a sense of humour. Stop talking only about the mission and the revolution, laugh at yourselves, when you err, for sometimes you err… It’s enough the right is deadly, and stupidly, serious.